Jeff Austin (Yonder Mountain String Band) & Brendan Bayliss (Umphrey’s McGee) are pleased to announce the long-awaited studio debut from their new project, 30db! One Man Show will be available in stores and online May 11th on SCI Fidelity Records, and the duo will be touring the country in support of the release. 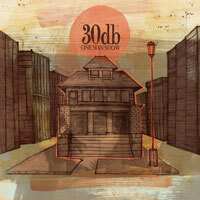 Visit www.30db.net to preview the album, and for up-to-date news, pre-order info & tour dates. Which Way World - the new release recorded by supergroup collective The Contribution - is the kind of debut album that only seasoned musicians can produce. Featuring the stellar contributions of Tim Carbone - violin, vocals (Railroad Earth), Jeff Miller - guitar, mandolin, vocals (New Monsoon), Phil Ferlino - keyboards (New Monsoon), Keith Moseley - bassist (The String Cheese Incident) and Jason Hann - percussion (The String Cheese Incident), the americana-tinged music on Which Way World is full and free-wheeling, offering exceptional chops that never overshadow the stand-out songwriting. 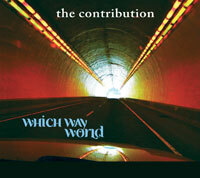 The Contribution releases Which Way World on March 30th, 2010 (SCI Fidelity Records); the album will be available digitally everywhere and on CD (the disc includes bonus video footage shot during the recording process) at www.thecontribution.net. While the genre of live electronic is relatively new on the music circuit, nobody is breaking the boundaries of live production and improvisation like EOTO. This eleven-track journey into dubstep, electro and house music showcases their talents and skill in a growing dimension of music. In true EOTO spirit the album was produced with nothing planned or rehearsed, capturing only the best of what makes up their original sound. 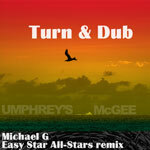 Available at Itunes and elsewhere beginning October 6th, Umphrey’s McGee releases a dub remix of “Turn & Run” - remixed by Michael G. of the famed reggae collective, Easy Star All-Stars (Lonely Hearts World Tour 2009, Dub Side of the Moon, Radiodread). “Turn & Run” originally appeared on Umphrey’s McGee’s latest studio album, Mantis. Kyle is hitting the road in support of Then There’s Now, including 2 dates in Colorado that you don’t want to miss! First up is the co-bill with Jeff Austin & Friends at the beautiful Mishawaka Amphitheatre in Bellvue, CO (9/18) followed by the CD Release Party at the Fox Theatre in Boulder (9/19). In addition, Kyle will be performing 2 intimate in-store appearances in Denver & Boulder, where he will also be signing CDs! Be sure to check out Kyle when he comes to a town near you! Go Here for complete, up-to-date Kyle tour dates. 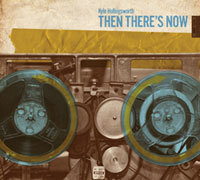 Starting September 9th, you can listen to Then There’s Now streaming in its entirety online! To celebrate the upcoming release, we’ll keep the whole album available for your listening pleasure until 9/15. Simply go here and click on the audio player to start listening now! The String Cheese Incident unveils their new limited edition live release, Trick Or Treat, on October 27, 2009. The timing is fitting, considering the nine-disc box set album was culled from a variety of epic SCI “Hulaween” shows. From Atlanta’s Variety Playhouse (1998) Philadelphia’s Electric Factory (1999), Portland, Maine’s State Theatre (2000), NYC’s Theatre at Madison Square Garden (2001), Shrine Auditorium (2002) in Los Angeles, Sin City’s Cox Pavillion (2003) and the Exhibition Center @ Alliant Energy Center in Madison, Wisconsin (2004) - Trick or Treat journeys through the years to re-visit some of the band’s most classic Incidents from Halloween’s past. This exclusive box set offers seven of SCI’s famous Halloween cover sets in their entirety, including String Cheese performing songs by such artists as the Beatles, Beastie Boys, KC & The Sunshine Band, Nirvana and many others. The Trick Or Treat box set features brand new artwork from Michael Everett, special commemorative mini-posters from the Hulaween shows, personalized liner notes from the band, a photo booklet by famed rocked photographer C. Taylor Crothers, and plenty of special surprises! Also available this fall - a “Best of Trick Or Treat” 2-disc set to be released separately on CD, vinyl and digitally. We've been raising food with Conscious Alliance since 2002, helping them raise over A MILLION pounds of food for poor communities. The Rebel Alliance Jams are always fun for us, and the one at YarmonyGrass 2008 is also going to help Conscious Alliance raise funds for their cause. Even though YarmonyGrass was cold and rainy, the Rebel Alliance Jam stage was packed with some of our favorite players. Kyle, Billy, Travis and Michael were joined by - among others - Scott Law, Keller Williams, Tye North and Tim Carbone, and covered tunes from Billy Preston, Bob Marley, Eric Clapton and the Dead. All proceeds from sales of the Rebel Alliance Jam download go to Conscious Alliance. You may buy the download right here. Help us spread the word by grabbing this widget for your website or HTML email - and encourage your friends to do the same. Thanks as always for helping us support the work of Conscious Alliance over the years. On Then There’s Now, the second album from Kyle Hollingsworth of The String Cheese Incident, the renowned keyboardist unveils his new musical soul, and marks his true emergence as a solo artist. With his signature grooves and deep musicianship intact, Hollingsworth delivers a breakthrough album, with songs that are purposefully lyric-driven, and filled with emotion and catchy hooks. Listen to Mantis in its entirety, starting at 12 midnight ET on January 20th. 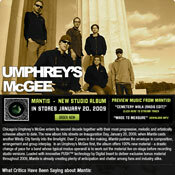 Check out the Mantis eCard for up-to-date news and information about the new Umphrey’s McGee release! 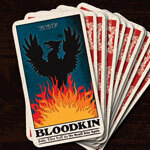 Bloodkin’s new album, Baby, They Told Us We Would Rise Again, was produced by David Barbe (Bettye LaVette, Drive-By Truckers, Sugar). This collection of songs is a stripped down rock & roll record that harkens back to the days where songs were recorded in a single take and relied on the raw energy of 5 guys playing together in a room. Baby, They Told Us We Would Rise Again will be released digitally on February 17, 2009 on SCI Fidelity Records. A wider release is expected in late spring. “Bloodkin has been through the fire and persevered and come out the other side better and stronger than I ever thought they’d be. They have landed on the best line up of players they’ve ever had and seem to have gained a control of their demons that two years ago would have seemed beyond impossible. Instead of packing it in and going home (or dying) they pulled themselves up and made their greatest album in a quarter of a century. Umphrey’s McGee’s new studio release, Mantis, is an exponential evolution in the band’s composition, arrangement and group interplay. In an Umphrey’s McGee first, the album offers 100% new material; this is a drastic change of pace for a band whose typical modus operandi is to work out the material live on-stage before recording studio versions. Loaded with innovative PUSH(TM) technology by Digital Insert to deliver exclusive bonus material throughout 2009, Mantis is already creating plenty of anticipation and chatter among fans and industry alike. -A $30 gift certificate to the Keller store at www.kellerwilliams.net. The latest studio album from Lotus – Hammerstrike – finds the band reaching back in order to move forward. Primarily recorded live in one room to analog tape by Bill Moriarty (Dr. Dog, Man Man), the band captures a sound that harkens back to the 70's but never slips into nostalgic retreads. The compositions are focused and melodic, filled out with orchestration including swelling violins and cellos, banjo, wordless choirs, and electronic noises. Though the tracks range from dance floor ready rockers to soaring post-rock instrumentals the album is held together by a sanguine spirit that pervades each track. The big guitars, feedback, and distortion serve an optimistic purpose. It is a decidedly American feel that invokes big skies, open roads, and a zealous yet naïve pursuit of the idea that defeat will never be conceded. Keller Williams has built a career on his uncanny ability to captivate a packed house—all by himself. So why now, after 15 years as a solo artist, is he releasing a live album — simply titled, Live — with three other names on the cover? It turns out that since he first picked up a guitar, this troubadour has wanted to front a band. On Live, Keller taps into the world-class talent of Keith Moseley (bass – The String Cheese Incident), Gibb Droll (guitar – Marc Broussard, Brandi Carlile), and Jeff Sipe (drums – Aquarium Rescue Unit, Leftover Salmon). The musical horsepower of four friends playing together on stage proves stronger than even Keller had dreamed. Recorded at select live shows during a winter 2007-2008 tour, and featuring 17 tracks that span Keller's career, Live is a testament to how a band, with the right chemistry and chops, can take a song to places even the writer couldn't have imagined. 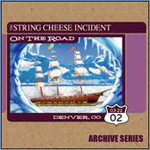 Continuing their ongoing "Archive Series" of releases for iTunes, The String Cheese Incident has chosen to dip back into the archives for a 2002 Incident that is the stuff of legend for Cheese fans worldwide. On March 22, 2002, SCI came into Denver ready to play. This two-disc set features classic versions of Close Your Eyes, Jellyfish, and San Jose...as well as a guest appearance from African superstar Angelique Kidjo on the Jimi Hendrix staple Voodoo Child. Check out this iTunes Incident HERE. RAILROAD EARTH’s new album, Amen Corner truly showcases their remarkable songwriting and uniquely crafted arrangements. To bring music appreciation to the next level, Railroad Earth offers fans an innovative and interactive feature, RRE-Mix. With RRE-Mix, the band goes a step beyond the traditional “purchase and listen,” and allows fans to digitally remix three of the album’s tracks through their personal computer, with the help of some simple editing software. Find out more at www.railroadearth.com/amencorner/remix.html. Umphrey's McGee and SCI Fidelity Records are happy to announce the release of Jimmy Stewart 2007, a two-disc compilation. The album features the best of UM's group improvisations over the course of the year. This will be a limited edition release, available digitally through UMLive.net as well as through iTunes. After celebrating the release of Jimmy Stewart 2007 at Bonnaroo 2008, the band treated fans to an autograph signing of the very first copies of the album available to the public. People can now get their very own copy at the iTunes Music Store. Concert.TV features Railroad Earth this month, by providing all seven videos from Amen Corner for viewers of both cable and satellite TV. Concert.TV is an on-demand cable network that is available on Comcast, DirecTV, Cox, Charter and Verizon. For more information go to www.concert.tv. To celebrate the forthcoming release of their new album, Amen Corner (in stores June 10th), Railroad Earth has posted the full album for stream on the Amen Corner website, to give fans a special sneak preview before it is available in stores! In addition, all seven videos from the recording of the album have been posted to the site, including an exclusive Studio Interview with the members of Railroad Earth, where they talk about Amen Corner, how it was named, and the recording process. This day is also the official release day of RRE's new album, Amen Corner. To help celebrate, the band will be doing a FREE acoustic in-store performance at Vintage Vinyl at 6pm. Come join us and there and then directly over to Blueberry Hill! This is the OFFICIAL CD RELEASE PARTY WEEKEND for RRE's new album "Amen Corner," which will be in stores nationwide on June 10th! RRE will also be doing a secial IN-STORE PERFORMANCE at Twist and Shout Records on FRIDAY, JUNE 13th at 5pm! Visit the Twist and Shout Website for more details. The iTunes Music Store will feature an exclusive version of Railroad Earth's Amen Corner, available June 10th world-wide. Included in this download release will be a bonus track from the Amen Corner sessions "Standing on the Corner". Also, the album will be available in iTunes Plus format, meaning higher-quality music files, as well as the ability to download iPhone ringtones for every song on Amen Corner. In addition, shortly after release, all seven of the music videos shot during the recording of Amen Corner will be available for purchase through iTunes. Keep your eyes peeled in the coming weeks. To go directly to Railroad Earth's iTunes page, CLICK HERE. Umphrey's McGee is excited to announce another new series of releases they have titled "CompendiUM." They have officially released ten of their favorite shows from 2007 exclusively on iTunes. These will be the first of many in a series of releases that will be made available via iTunes. Our friends at Paste Magazine are hosting an exclusive premier of the video for "Hard Livin" from Amen Corner. The video can only be found at Pastemagazine.com, and at the Amen Corner website. Go here to view the video at Paste. Check out www.railroadearth.com/amencorner to preview the brand new album from Railroad Earth! We’ve just added 3 more streaming audio tracks to the site, and 2 new videos from the recording sessions, for your listening and viewing pleasure! And don’t forget to pre-order Amen Corner to receive a Special Limited Edition DVD of all seven videos (compiled in one set) recorded as part of the making of the album. Railroad Earth and SCI Fidelity Records are pleased to announce the Amen Corner Pre-Order Campaign. Beginning on May 7th, 2008, the first 750 Amen Corner CDs purchased through RRE’s own Earthmerch.com website will include a Special Limited Edition DVD of all seven videos (compiled in one set) recorded as part of the making of the band’s new album, Amen Corner. This DVD will only be made available as part of the first 750 CD’s purchased through our site. There will be no commercial production of these videos beyond this campaign. In addition, the first 250 CDs ordered will be signed by all of the band members. To order your CD’s, go to: www.EarthMerch.com or visit the Merchandise Page on the Railroad Earth Website at: www.railroadearth.com. Please note: CD’s will not be shipped until just prior to the official release date on June 10th! Railroad Earth and SCI Fidelity Records are pleased to announce the launch of the new website for the forthcoming Railroad Earth studio release, Amen Corner - in stores nationwide on June 10th, 2008! The website will live at: www.railroadearth.com/amencorner and will feature streaming audio & video, photos of the band in the recording studio, news and other information. The first single, "Hard Livin’,” will be available for free download, and we'll be updating the site regularly with new songs, as well as videos of the band recording them...plus information on how to purchase Amen Corner! Stay tuned for news about online listening parties, webcasts, and special content only available through this site! Railroad Earth's new studio release, Amen Corner, was written and recorded at Lone Croft: an empty, 300 year-old house in New Jersey 's rural countryside. What happened inside the building was the experience of a lifetime for the band's members, resulting in an early creative pinnacle of a gifted young band, and an album that is an instant Americana classic. Amen Corner is a collection of crisp and crafted roots, bluegrass, and acoustic sides that resonates in all the right places. The tunes breathe both on and between the notes. They hit you immediately, but then linger like a good buzz. Stay tuned for the Amen Corner website, featuring audio, video, news about the new release and more! On February 8, 2006, Keller Williams hit the stage at Denver's Fillmore with a project he calls Grateful Grass. Grateful Grass - which featured Williams, Keith Moseley (The String Cheese Incident), and Jeff Austin (Yonder Mountain String Band) - performed not-so- traditional bluegrass versions of Grateful Dead favorites. The vibe in the packed house was thick and sweet; and the crowd was whisper quiet, when they weren't singing along. On April 29, 2008, this very special evening of music will be available for digital download at iTunes and at other digital retailers. 100% of the proceeds of REX: Live at the Fillmore will go to benefit The Rex Foundation, an organization of the Grateful Dead family which gives grants to worthwhile causes. Since its inception in 1983, The Rex Foundation has provided $8.3 million in grants to over 1,000 grassroots programs across the U.S. and internationally. Check out www.rexfoundation.org. IN DIGITAL STORES APRIL 29th!! Though still in its infancy, American Babies has already begun to prove itself. After scoring marquee spots in 2007 at New York 's Bowery Ballroom, Philadelphia 's World Café Live and influential gatherings like Manchester , TN 's Bonnaroo Music & Arts Festival and Chicago 's Wicker Park Fest, the band stepped into the studio with veteran producer Jon Altschiller (Dave Matthews Band, John Mayer). The result: their emotionally-charged self-tiled debut, American Babies. The album's 11 original compositions vividly display the raw talent of singer/songwriter Tom Hamilton. While still only in his twenties, Hamilton 's lyrics channel the worldly knowledge of songwriting chameleons like Neil Young and Ryan Adams, with a hint of Gram Parsons thrown in for good measure. The collection is held together by elegant swings and swaggers of Joe Russo, an award-winning drummer with his feet firmly planted in both the jazz and rock worlds. In this new year, looking back on the last decade of Incidents we decided to honor the memory of a classic. 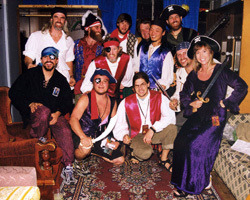 On December 8, 2003 The String Cheese Incident came into Redwood City, CA on a mission to celebrate the new year with its West Coast family, even though their travels would bring them to Chicago for the big event at the end of the month. Complete with a countdown to kick off the Incident, SCI launches into blistering versions of Rollover, Black Clouds, and rarities like Eleanor Rigby, Across The Universe, and I Wish. Keller’s twelfth album release, IN STORES NOW, looks back at 20 years of making music. Aptly titled 12, the album features one standout song from each of his previous eleven releases. Added to the mix is one new, previously un-recorded song. Keller himself dubs this his album of “hitless greatest hits.” While the Keller Williams adventure has only just begun, 12 is a fantastic celebration of a musical milestone. " Now available on the iTunes store are iPhone ringtones for each SCI Fidelity artist. The ringtones cost $.99 and you can use the free iTunes ringtone editor to create a custom tone from the specific 30 seconds that you choose from each song. 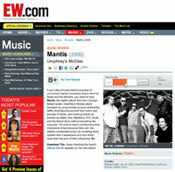 The verdict is in...Live at the Murat received a four star review from Rolling Stone Magazine. David Fricke didn't hold back, and let RS readers know that Live at the Murat is not to be ignored..."like the White Stripes high on the first Van Halen album"
The iTunes Music Store features an exclusive version of Umphrey's McGee's Live at the Murat album, featuring a bonus track and a digital booklet for users who download the entire album. Users who have activated the iTunes Plus feature can also use any of the tracks from Live at the Murat as ringtones for their iPhone. The bonus track is "Miss Tinkle's Overture" from the same Easter Weekend shows that the album was taken from, and can only be found on iTunes. In Stores October 30th !! On October 30th, The String Cheese Incident will be releasing a 4-night run of live shows from their recent performances at the legendary Red Rocks Amphitheatre in Colorado, as part of their On The Road series. These shows, recorded August 8-12, 2007, present the band in their home state, playing their hearts out to over 40,000 fans over four nights. Pick up your copy when it hits stores nationwide, or visit www.livecheese.com to download the shows today, and re-live these magical Incidents! SCI Fidelity Records now offers many of its iTunes releases in the higher-quality "iTunes Plus" standard. This DRM_free file type is twice the fidelity of previous iTunes tracks (256 kbps AAC vs 128) and also enables users to convert tracks into ringtones for their iPhones. Albums available in this upgraded format will say "iTunes Plus" next to the album art on iTunes artist pages. Be sure to have the latest version of the free iTunes software to take advantage of this new feature. Check out the Live At The Murat mini-site for details about the brand new double-live album from Umphrey's McGee, including streaming tracks and up-to-date news items about the release. Keep checking back to the site, as we'll be adding more songs for your listening pleasure, video, pre-order info and more! The Greyboy Allstars performed live in the KEXP studios on Wednesday, April 18th. This session and interview took place on the day of the band's gig at The Showbox. You can check out the archived broadcast through the station web site at www.kexp.org. For fans who already own dream, you can still purchase this show HERE. The Greyboy Allstars have hatched a new web site, complete with streaming tracks, new merch pages, news, blogs, forums, media, tour dates, discography, and everything else you could either expect or never expect from a web site! On Thursday June 14th The World Cafe broadcast a recent session and interview with The Greyboy Allstars. This session caught the band in the midst of their tour for What Happened to Television. You can check out this archived session on the NPR Web Site. "Technically, it doesn't constitute a mash-up, but this cover of Nancy Wilson's "How Glad I Am" plays to the concept wonderfully. In a sparkling case study in contrasting and complementary beauty, gritty funk bolsters the bottom end while dreamy, vaguely Appalachian three-part vocals enliven the top. The music conjures images of the back woods, but the song's witty concept resides firmly in DJ culture." Check out the entire review on the NPR Song Of The Day page. Jason Hann and Michael Travis (percussionist and drummer from The String Cheese Incident) compose this brand new 100% improvised live breakbeat, trip-hop, house, and drum n' bass project. Drawing from the ethos of some of the great DJ's and computer artists of the world, they use cutting edge technology to create truly original and melodic dance music in the moment, with the undeniable power of live drums. 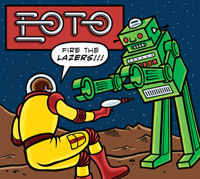 EOTO's album, Elephants Only Talk Occasionally, is available at iTunes NOW. Fans of The Greyboy Allstars can now check out a ton of new information about the upcoming album on the WHAT HAPPENED TO TELEVISION ECARD. Featuring streaming tracks, bio information, and links to MySpace pages, tour dates and the band's main site, this ecard is your one stop shop for all things WHTTV!!! The album's first single, "How Glad I Am" features vocal trio The Living Sisters fronted by indie starlet and daughter of Lowell, Inara George. On April 3rd, 2007, Umphrey's McGee released a brand new double disc studio album – a spontaneous and intriguing follow up to their highly touted spring 2006 studio release Safety In Numbers. Titled The Bottom Half , disc one features ten tracks that were originally recorded during the S IN Sessions, while disc two offers outtakes, alternative versions of songs, a cappella recordings, and other bits from the band's 2006 studio sessions. As with Safety In Numbers , famed album artist Storm Thorgerson designed the artwork for The Bottom Half. SCI Fidelity Records congratulates Railroad Earth on winning the Indie Acoustic Music Project's "Best CDs of 2006" award for best "Alt Country" CD. For more information go to the awards page at www.indieacoustic.com. Rose Hil Drive has made Rolling Stone's "Top 10 Artists to Watch" list. The band, still on tour supporting THE WHO, while also supporting their self-titled debut album, has had an enomous year by anyone's standards. RS features the band in their top 10 in the new issue that has Pink Floyd on the cover. You can check out what RS has to say in their top 10 list here. The Disco Biscuits are proud to present the brand new music video for “World Is Spinning”, the second visual interpretation (the first being “Caterpillar”) of a track from their 2006 double-disc live release, The Wind at Four to Fly. 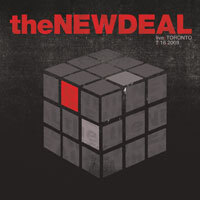 Check out the Keller Williams artist page at the iTunes Music Store. You can purchase tracks and/or entire albums from Keller's 10-album catalog, as well as the video for play this. Starting Tuesday, February 6th, that catalog "goes to 11" with the official release of the album dream, and a special iTunes exclusive version of the album, complete with bonus tracks that you can only find on iTunes. If you do not have the free iTunes software, go to www.itunes.com. Check out the brand new dream eCard containing 2 full streaming tracks from dream, the incredible music video for play this, the dream podcast, track listing and additional information. Help spread the word about dream! Forward this eCard to all of your friends, family, and every music lover you know! Just use the handy “Forward to a Friend” feature contained in the eCard, or post links to the website - on every message board and discussion group you can think of! On Friday January 26th The World Cafe broadcast a recent session and interview with The Radiators. This recent performance took at the World Cafe studios in Philadelphia. This special performance, which aired on the nationally-syndicated program, is now featured archivally on the National Public Radio Web Site. "This might be written off as a sour-grapes tirade about the state of the music business if it weren't so catchy and well-played. Williams, a.k.a. K-Dub or Jam Man, may be mocking every new band that's coming up these days,but they all probably wish they could play as well as he does. It's an old theme -- the Byrds wrote a template with "So You Want to Be a Rock 'n' Roll Star" in 1966 -- but one that hardly goes out of fashion for an industry built on fashion. Williams plays every last variant of pop musician, but the hooded-parka band in the basement (how many punk-emo bands look like this?) is especially funny. The only weak moment is the "psychedelic" wah-wah half-time section that diverts the energy for a few seconds." On February 6th, 2007, SCI Fidelity Records released dream, the ninth studio album from singer/songwriter/multi-instrumentalist Keller Williams. welcome to my dream come true. the concept of this recording was to collaborate with my heroes and make a record that i would be proud to crank in my pimped out golf cart when i'm 80. Stay tuned for more information, including details about a dream pre-order contest. National Public Radio has uploaded a recent live session with The Disco Biscuits. The session, a set the band performed for WXPN's "Free At Noon" series in Philadelphia, features over 45 of music from the band. Recorded during December's New Year's run of shows, this session captures the band at their finest. You can stream the session on NPR's web site. After summer 2007, Billy Nershi is leaving The String Cheese Incident to pursue other musical projects. There will be only a limited number of Incidents between now and then. Current plans include Thanksgiving in Atlanta, a New Years Eve blowout in San Francisco, Winter Carnival in Colorado, and a return to Red Rocks. Presently, there are no plans for The String Cheese Incident beyond summer of 2007. The band would like to extend a heartfelt thank you to our friends and fans for all your support. Thanks to the efforts of the folks at RIPMobile, you can now recycle your old cell phone and receive gift certificates that can be redeemed at livecheese.com. RIPMobile has helped thousands of people turn their drawer full of old phones into cash and gifts, while helping people on the other side of the world get a cell phone for the first time. "You tell us what old (and not-so-old) mobile phones you have sitting in a drawer or on a shelf around the house. We calculate the value of those phones (some PDAs have value too), and tell you what they are worth (we pay you in e-gift certificates to the liveCheese.com website). You then send those phones and their accessories in to us so we can inspect and test them. We can only pay you for working phones and PDAs, but we can recycle ALL mobile devices you send us, so don't throw any away just because they aren't valuable - they ALL have toxic materials in them." For more information go to the RIPMobile Web Site. Blender Magazine attended the Tea Leaf Green show in New York City on October 14th at Irving Plaza. Like the rest of the capacity crowd in attendance, they came a way huge fans, and felt the need to tell the world about it. "... TLG's unabashed jubilance, especially evident in “The Garden (Part III)” set the appreciative crowd on fire..."
The iTunes Music Store has released an exclusive Incident to commemorate this year's Halloween holiday. The Incident from October 31, 2000 in Portland Maine is now available on iTunes as a 4-disc download. This show features The String Cheese Incident at their finest, in a show that was chock full of rare covers, enormous jams, and all-around Halloween madness. Check out the brand new Rock ‘n' Roll Band eCard containing 2 full streaming video tracks from the DVD and 3 full streaming audio tracks from the CD , along with track listings and additional news & information. You can also purchase the DVD & CD online, and enter to win a signed TLG drum head ! Enjoy! Help spread the word about Rock ‘n' Roll Band ! Forward this eCard to all of your friends, family, business acquaintances, high school classmates, local news media and every music lover you know! Just use the handy “Forward to a Friend” feature contained in the eCard, or post links to the website - http://www.tealeafgreen.com/ecard - on every message board and discussion group you can think of! Each time you forward the eCard, you will automatically be entered to win a signed TLG drum head which was used during the recording of the DVD/CD !
" With full throttle beats, pulsating bass lines and a captain-less ship; Zilla offers up mind-melting grooves that warp from one song to the next." Such are the words of reviewer Brad Hodge in the latest issue of Honest Tune Magazine, as he reviews the album alliZ by Zilla. You can check out the entire review on the Honest Tune web site. The Disco Biscuits and Diamond Riggs Records newest live release, Rocket 3, is the entire third set of the Biscuits' 2004 New Year's performance in New York. Regarded as one of the best sets of music the band has played in years, this limited-edition three song collection is as much a nod to the past as it is a glimpse into the future. The tracks, originally considered for release on The Wind at Four to Fly, were moved to the cutting room floor when it was decided that a 70 minute 2 1/2 song CD would not be well received at retail. However, the CD has received new life as a result of the many requests from Disco Biscuits fans that this be released in the crystal clear quality that can be expected of all Diamond Riggs live CD's. Rocket 3 is in stores nationwide, starting November 14th. A message from The String Cheese Incident: "We are all looking forward to kicking off fall tour next weekend in Austin. As a special treat, we will be exclusively offering a new SCI DVD, "Live From Austin, Texas - Austin City Limits" at the Waterloo Records Tent throughout the ACL Festival. The DVD features the band's entire Austin City Limits television appearance from July 2001. The show has been re-edited and the music remixed in stereo and surround sound. We will be doing a signing at the Waterloo Tent at 3:00 PM on Saturday, September 16th. On October 3rd, the DVD will be available in stores and through the website and SCI Gear." Such are the words of Tea Leaf Green's guitarist Josh Clark, as he discusses their musical approach during the creation of their SCI Fidelity Records debut, a live DVD and companion CD, entitled Rock 'N' Roll Band, available in stores October 31st. SCI Fidelity is excited to welcome this band of youthful San Francisco gypsies who put their own original spin on rock & soul. SCI Fidelity Records, in conjunction with Radz Records welcomes legendary New Orleans band The Radiators to our family of artists. On October 3rd, The Radiators will release their 14th album, Dreaming Out Loud. With the original lineup intact (it has remained for 28 years and counting) the Rads bring new insight and a fresh new perspective to their already branded "Fishhead Music." Bill Nershi, guitarist/singer/songwriter from The String Cheese Incident, proudly presents Honkytonk Homeslice - a mostly-acoustic collaboration with his wife, singer/songwriter Jilian Nershi, and accomplished multi-instrumentalist / singer / songwriter Scott Law (of the Scott Law Band, Tough Mama, Hanuman & Melvin Seals‘ Melting Pot). “This band takes the music back to its roots; back to the kind of shows String Cheese did when it began,” Bill explains. “Honkytonk Homeslice invites listeners into our living room (not literally) for an intimate performance that everyone can participate in.” These songs were recorded the old time way. The trio sat in one room around open mics with no separation between their voices and instruments. All three members of Honkytonk Homeslice contribute original songs to the album. The self titled debut from HTHS, to be released September 5, 2006, delivers 13 songs of down-home Americana music. Colorado trio ZILLA (Michael Travis of SCI , Jamie Janover and Aaron Holstein) always keep the live musical experience in mind. Each ZILLA concert proves to be a completely unique occurrence, with even the band members having no idea where the music will take them night after night. Relying on their uncanny ability to listen and incorporate their individual talents into a group focused brand of live electronic dance music, ZILLA is sweeping the country with their rare breed of beats, bass and uncontrollable musical fury. all iZ, the band’s first studio release, which is due to hit streets on September 5, 2006, offers two full discs of musical spontaneity, flow, grooves and a damn good dance party! On July 4th, The String Cheese Incident released a new iTunes exclusive, an entire Incident from Mariaville, NY on August 19, 2001. This 3-disc set is available in its entirety for download from iTunes. This is the second in an ongoing series of archive releases only available through the iTunes Music Store. If you already have iTunes installed, you can go directly to the release here. If you do not have iTunes installed, it is free, and available for download here. "July begins a new era for the band and we are very excited about the future. On July 13, at The All Good Music Festival, Ilya Stemkovsky will make his debut as BROTHERS PAST's new drummer." Such was the news as reported on Brothers Past's web site in an official announcement marking this year's Bonnaroo gig as a career highlight with current drummer Rick Lowenberg, who will be departing the band to pursue personal interests. Stemkovsky, known for his amazing drumming with the Ohm Trio, will take over after BP's "Big F'ing Boat IV" gig in NYC on June 23rd...Lowenberg's final gig. Check out the full story on the band's web site. Featuring clips from all of our new releases, the new batch of ringtones from SCI Fidelity Records is hard to resist. Check out new tones from The Disco Biscuits, Brothers Past, Umphrey's McGee, The String Cheese Incident and Railroad Earth. You can preview and purchase the tones at the SCI Fidelity Mobile site. These truetones are compatible w/ Verizon, AT&T/Cingular, T-Mobile, Sprint, Cellular One, Fido, & Bell Canada. You must have text messaging & mobile Internet service enabled to download tones. As always we also offer polyphonic ringtones for those of you who have earlier model cell phones. Visit The Wind at Four to Fly eCard , where you'll find 2 full streaming tracks from the album (over 24 minutes of music! ), video, news and info. Plus, check out “ Brownie's Blog ” for exclusive behind-the-scenes insight into the creation of TWAFTF from Marc Brownstein! ...and be sure to check out the brand new music video for “Caterpillar”, the first single from TWAFTF! Simply click on the “video” section of the eCard to stream the video then sit back, relax and enjoy. Forward the eCard to your friends to introduce them to the latest Bisco release! Check out the Safety In Numbers eCard for full streaming tracks from the album, along with exclusive video, photos, news and album info! "After a decade of touring, the Disco Biscuits have solidified their reputation as one of the kings of the jam band scene. For those who are uninitiated, this new live double album is a great place to start. Released as a farewell to departing drummer Sam Altman, The Wind at Four to Fly is one of the most cohesive representations of the Biscuits music., known to fans worldwide as "Bisco." The audience reactions to live cuts like "Kitchen Mitts" and the trippy "Morph Dusseldorph" add to the excitement, while killer keyboardist Aron Magner creates melodic soundscapes amongst the band's tight rhythms and intricate chord changes. Magner's piano work on the epic "Spy" is some of his best yet, showcasing his seasoned and tasteful chops. The band's influences range from classical to electronica and far beyond, but when the Biscuits are on, they sound like no other band on the planet." Courtesy of photographer Brett Saul, there is an online photo gallery of the recent Umphrey's McGee CD Release Party for Safety in Numbers at the Park West in Chicago. The gallery shows great photos of the acoustic set by the band, as well as great candid shots taken during the party and autograph signing. 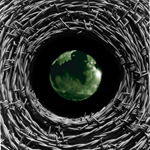 The SCI Fidelity Records MySpace Page has arrived! Check us out at www.myspace.com/scifidelity for free streaming music, as well as pictures, tour dates, and fun information. The best part is our growing list of friends, which you can add yourself to if you have a page at MySpace. Go to www.myspace.com for more information on how to set one up! Railroad Earth finds itself amidst a sea of press in support of their album ELKO. Among the interviews, articles, and reviews is a piece featured by National Public Radio. The review of ELKO is narrated by its creator, Rolling Stone writer Christian Hoard. GRASS is available through iTunes, DiscLogic. and is now be officially IN STORES! 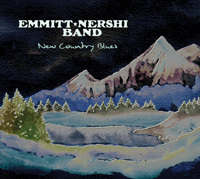 CDs are also availble at Keller shows, Larry Keel shows and on Keller's Web Site. On January 26th The World Cafe broadcast a recent session and interview with Kyle Hollingsworth. This recent solo performance took place before a capacity crowd at Towson University near Baltimore. For those who missed the initial broadcast, you can find an archival stream of it from National Public Radio. On January 18th The World Cafe broadcast a recent session and interview with Steve Kimock Band.